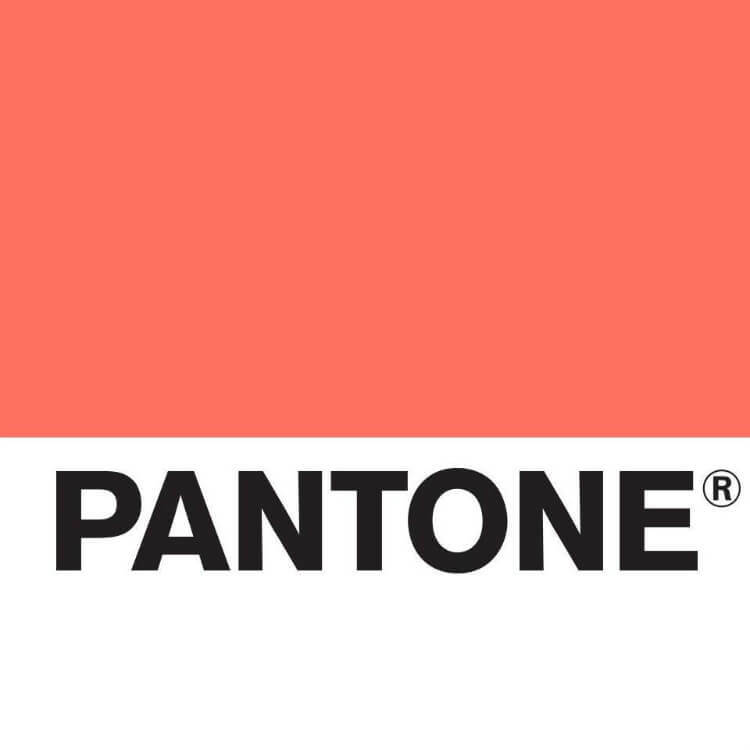 Living Coral, a warm peachy orange hue, has been chosen by the colour experts at Pantone as Colour of the Year 2019. 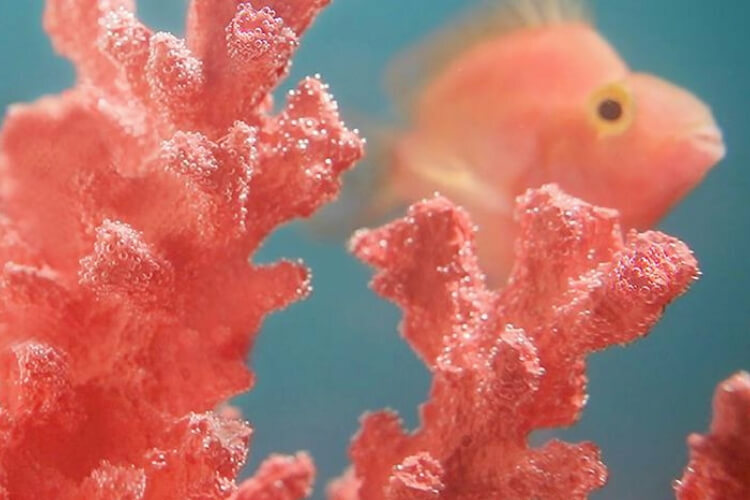 With words like vibrant, spirted and engaging being bandied about by Pantone when describing this colour, the company then goes on to say that Living Coral symbolises our innate need for joyful pursuits and playful expression. So, what’s this Colour of the Year malarkey all about then? 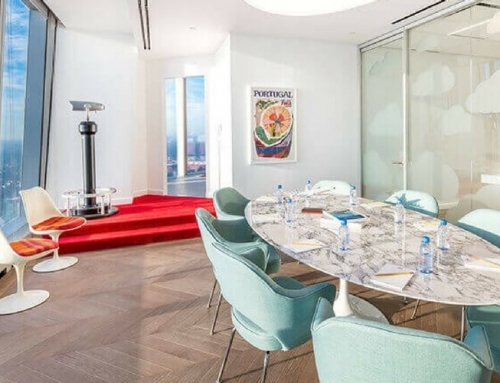 Well, it seems the researchers at Pantone are continually searching the globe for new colour influences and trends that are appearing more frequently in fashion, design, advertising and, of course, home decor. 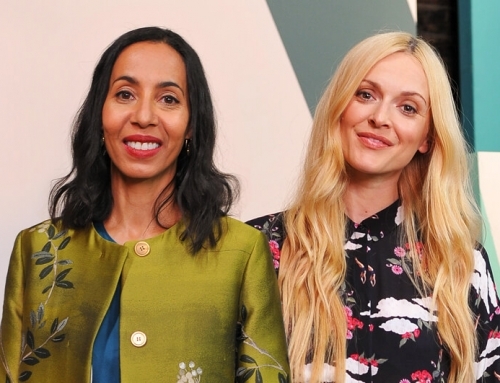 Using this research, their Colour of the Year accolade tries to pinpoint and highlight what Pantone believes will be the most influential colour over the next 12 months. 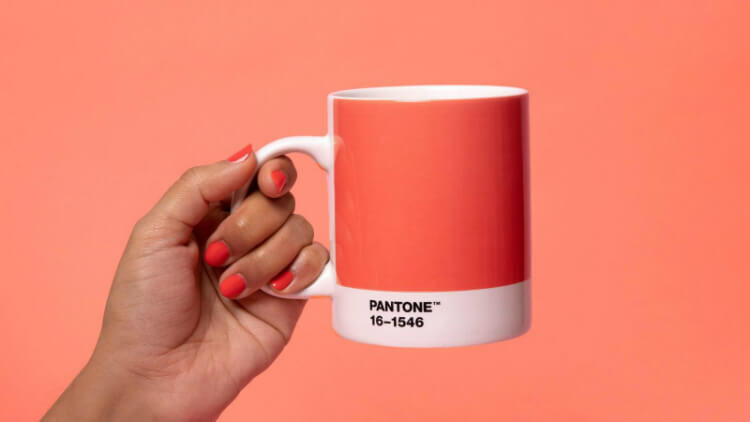 “With consumers craving human interaction and social connection, the humanising and heartening qualities displayed by the convivial Pantone Living Coral hit a responsive chord,” comments Leatrice Eiseman, executive director of the Pantone Colour Institute. 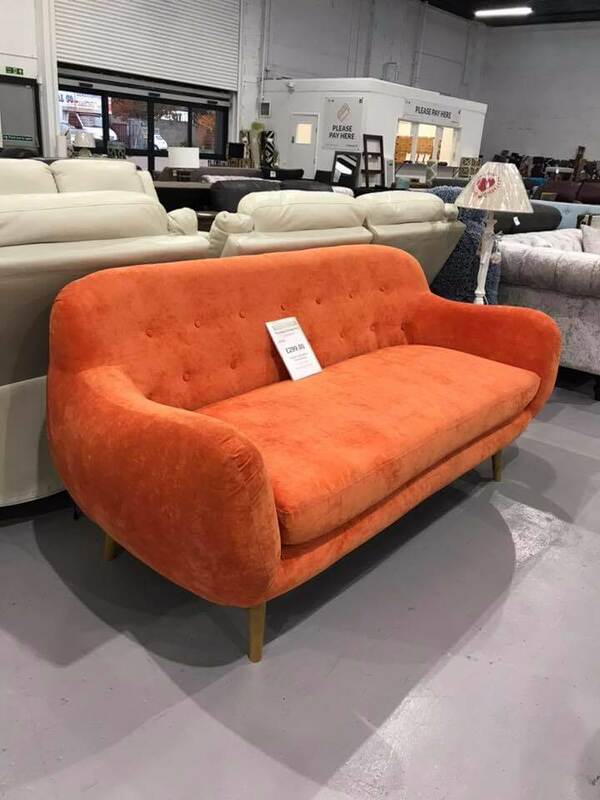 Of course, with our very own orange logo shining bright as a beacon for incredible furniture bargains, we are already dye-hard fans of Living Coral! 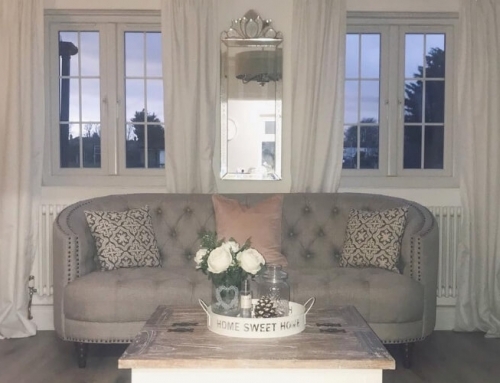 But will you be looking to give your living room, bedroom or bathroom an orange makeover in 2019? 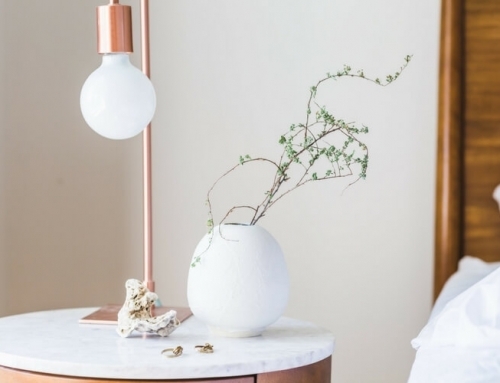 We’d love to hear your thoughts and ideas about incorporating the Living Coral colour theme into your home. Please let us know in the Comments section below. 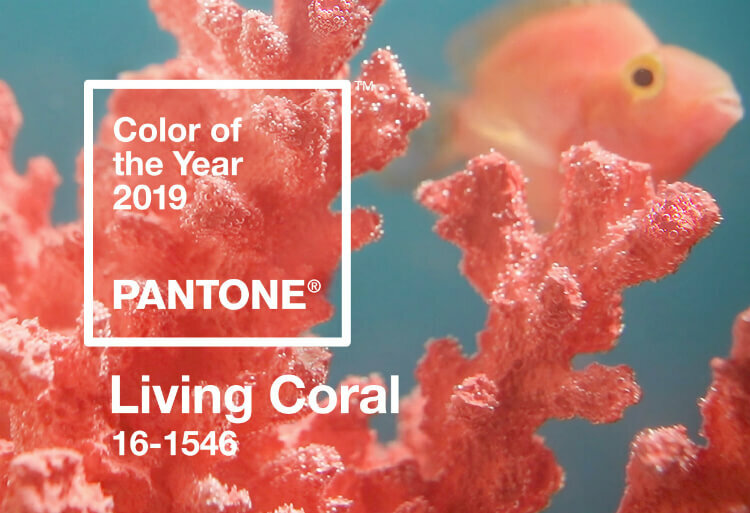 Living Coral is certainly a more calming shade than last year’s dark and moody choice of Ultra Violet, but what’s the reaction been so far from journalists, bloggers and social media influencers in the interior design community and beyond. 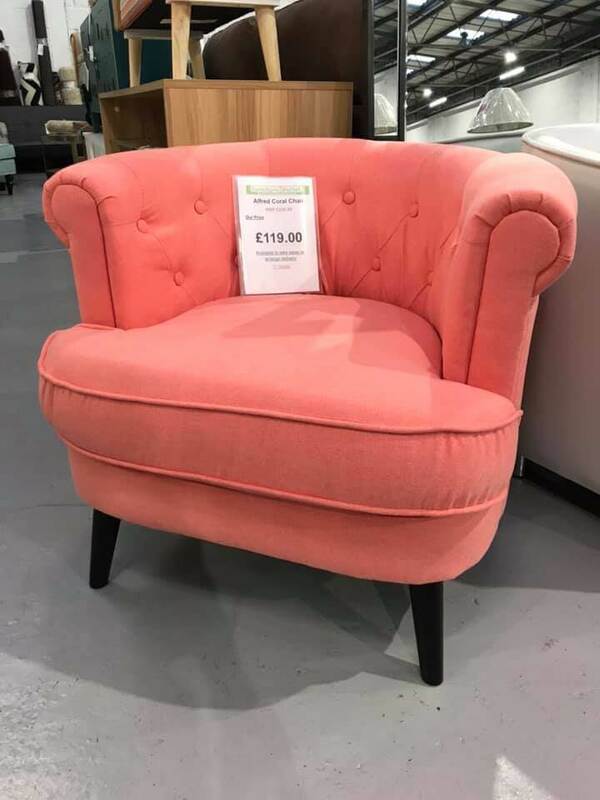 While we may swap cockle sheds for coral reefs here in Essex and East London, our Dagenham, Leigh-on-Sea and Wickford furniture outlet stores still regularly feature some beautiful coral, peach or orange coloured home furnishings including chairs, sofas and rugs – all at half their original RRP or less! New stock arrives daily in all of our stores, so please call or visit us today to see if we have what you are looking for.